straight toque with tami,eh? : Why me? 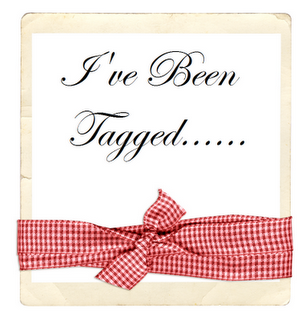 I very rarely respond to a tag...usually because I forget...but since my darling friend Maria at Rainy Day Farm was the one doing the tagging, I guess I'll make an effort. 1. Where were you five years ago? b. We had just moved back to Provo from Lehi. c. Trying to get Melissa and Erika through high school. 2. What is on your to-do list today? a. Track my Weight Watchers points on line. b. Make it through a Friday teaching my First graders. d. Hang out online with my many and dear friends from the Weight Watchers GDT and Facebook. e. Start my Term 2 Grade reports to send home with the students on Monday. 3. What five snacks do you enjoy? a. Baby carrots (sorry Frugal Friday Maria) with balsamic vinegar and lots of salt. c. A glass of Almond Milk....holy crap it's good. e. Fiber One 90 calorie bar...but only ONE or it's BIG TROUBLE! 4. What five places have you lived? 5. What five things would you do if you were a billionaire? a. Pay off our house. b. Buy all six kids a house. c. Travel back to Sri Lanka. d. Fly to NYC every month to stay at my penthouse and visit Eli and Audrie. e. Fly to Colorado every month to stay at my cabin and visit Milo, Isabel, and Keeler. c. Melissa at Mel Rae. d. Erin at Mostly Andersons. e. Becky at My My Reason to Smile. Yeah! I am so glad you responded. I don't like doing these anymore that you do, but they are fun to read. I am sure people are wondering why! Giggle, Giggle! agree on the fiber bars - those things are so good, but umm...yeah. YES! we get a house and a visit from grami tami! i really want you to get a billion dollars. i love all the places you've lived - very impressive list. and why am i just finding out about mel's blog? i thought she said she didn't blog.